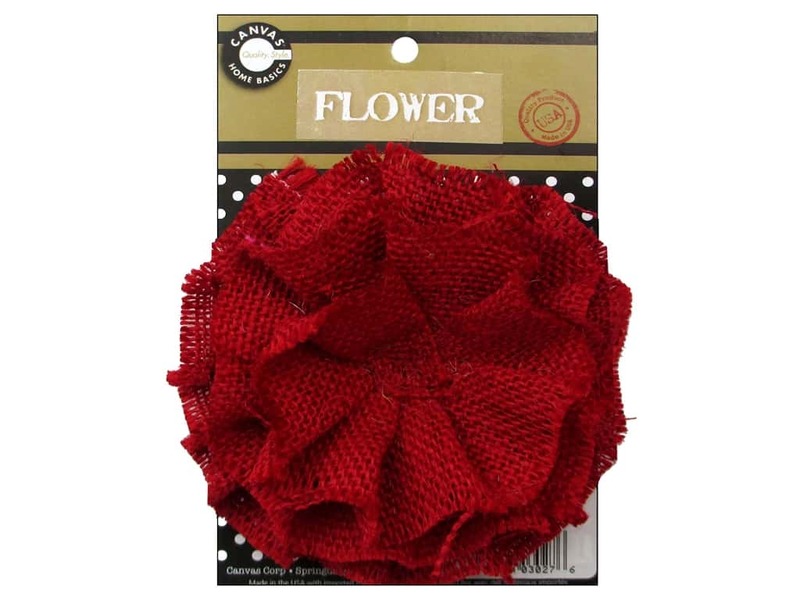 Description: Canvas Corp Burlap Flowers can use to embellish your scrapbooking and mixed media projects. The burlap flower has layered petals and a canvas cloth on the back for attaching. 4 inch. 100% jute. Red.